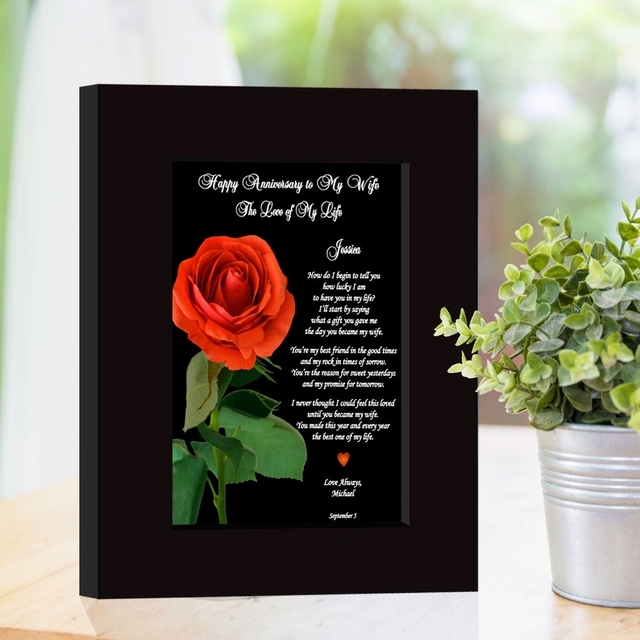 Home > Anniversary Gifts & Poems > Anniversary Gift for Wife "The Love of My Life"
If romance is what you are looking for in this year's anniversary gift, you have found it! 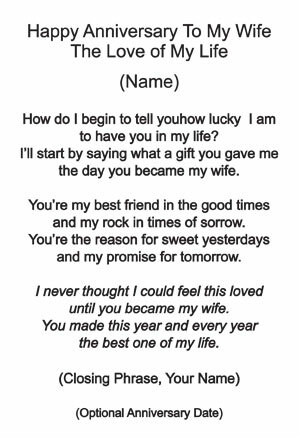 Tell your wife how grateful you are for her love by personalizing this heartfelt poem. Your anniversary gift will be framed in our modern 5x7 picture frame. This lovely frame poem has outside dimensions of 7-1/2 x 9-1/2 inches. She will find a prominent place in your home to display this beautiful keepsake. You were blessed to find the love of your life and now you have found a special wedding anniversary gift for your wife. This unique anniversary present with it's personalized and touching poem will surely become a treasured keepsake. When your wife displays this EXCLUSIVE Poetry Gift on a desk or table, you will be able to read it over and over again. 5x7 inch poem card in modern black wooden frame with glass front and outside frame dimensions of 7-1/2 x 9-1/2 inches. The frame has an easel back for tabletop display and is presented in a white box. We understand that some of our customers enjoy writing their own poetry. If you would like to express your feelings in your own words and in your own style about someone dear to you, we will be happy to design it in one of our Poetry Gifts. 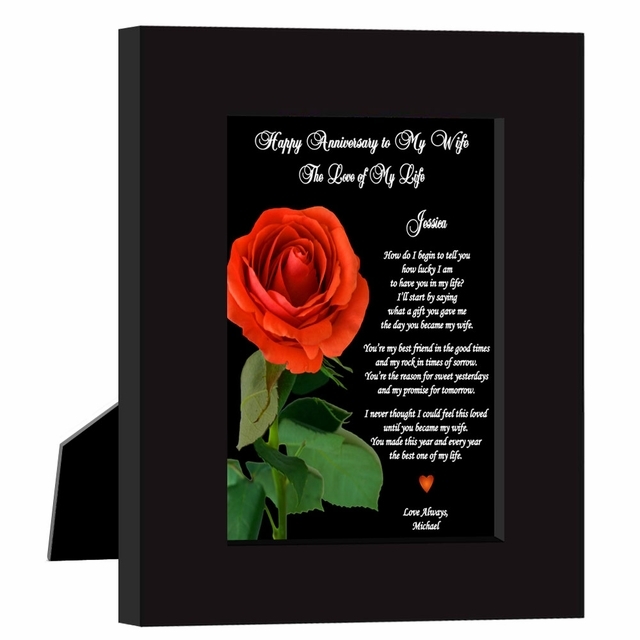 Click on the link if you would like to create your own Poetry Gift in this red rose design.